To best find your way to the campus, the main entrance to the school is at 44 Main Street in Groton (don’t be fooled into programming West Main St). There is visitor parking beyond the circle at the top of the hill on the right. After you park, walk back towards the circle and make a right onto Powderhouse Rd. The Schoolhouse is the brick building on the left with a semi-circular portico with columns. Lawrence Academy's main number is 978-448-6535 or use the full faculty and staff phone and email directory. Please do not call this number during business hours. 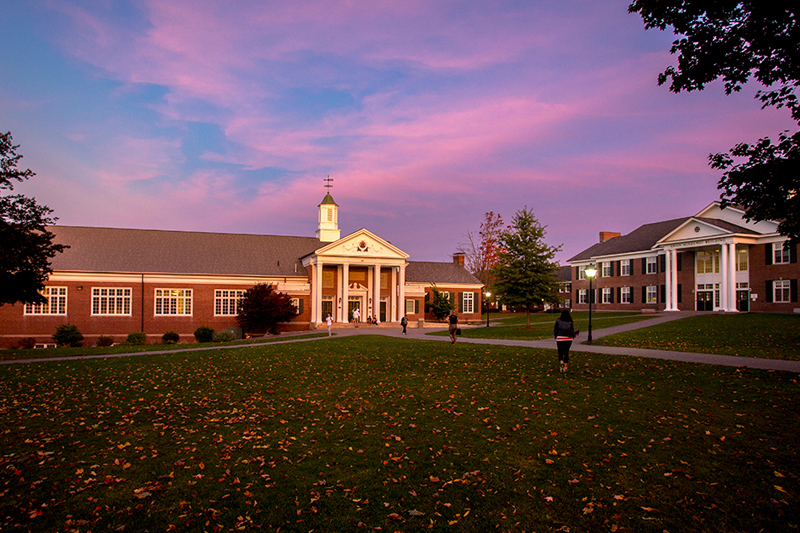 Lawrence Academy is located in Groton, Massachusetts; a partial list of local accommodations is available here. Set your GPS for 44 Main Street in Groton, MA: Take I-495 to the Groton/Littleton Common exit, #31. Follow Rte. 119 west for approximately seven miles; Lawrence Academy is on your right just before the intersection of Rte. 40 and the center of Groton. Turn right at the main entrance and follow the driveway up to the traffic circle. Visitor parking is found off the first exit off the circle, on the right. The admissions office is in the Schoolhouse, which has a rounded portico and gold cupola. Set your GPS for 44 Main Street in Groton, MA: Bear left out of the airport onto the Expressway, through the tollbooth and Sumner Tunnel to downtown Boston. Take your second right after exiting the tunnel and follow signs to I-93 North, which you should take for approximately 20 miles to I-495 South to the Groton/Littleton Common exit, #31. Follow Rte. 119 west for approximately seven miles; Lawrence Academy is on your right just before the intersection of Rte. 40 and the center of Groton. Turn right at the main entrance and follow the driveway up to the traffic circle. Visitor parking is found off the first exit off the circle, on the right. The admissions office is in the Schoolhouse, which has a rounded portico and gold cupola. Set your GPS for 44 Main Street in Groton, MA: Take 84 North out of Hartford to Route 90 (Massachusetts Turnpike). Go east on the Mass Pike to I-495. Follow Rte. 119 west for approximately seven miles; Lawrence Academy is on your right just before the intersection of Rte. 40 and the center of Groton. Turn right at the main entrance and follow the driveway up to the traffic circle. Visitor parking is found off the first exit off the circle, on the right. The admissions office is in the Schoolhouse, which has a rounded portico and gold cupola. Please click here to read about LA's continuing partnership with Groton, Mass.